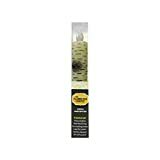 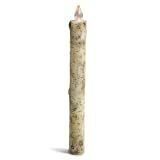 These cool new Birch Bark Taper Candles may look like natural branches cut from a birch tree out in the forest, but are actually made entirely from wax. 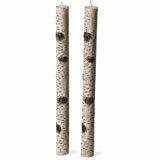 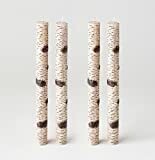 Sure to cause a double-take or two, these woodland-inspired taper candles have a realistic birch bark patterned wax exterior and a white wax interior and are perfect for use in centerpieces, on the mantel, on tables at weddings, or just arranged around the home as seasonal decor. 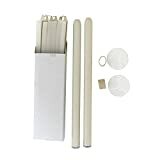 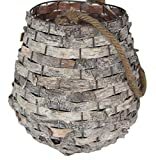 If you do place them near your fireplace, hopefully you won't accidentally mistake them for real firewood.